There are not many fabrics out there that come near it in pattern and designs. Yes, you guess it all right – It's Dashiki. Forget the 1960s and 1970s era. Dashiki will for a long period be one of the most widely accepted African attires. The appeal for these awesome flowery prints is raging up on the red carpet shows all from Lagos to Italy. So, we say "Welcome to the Dashiki world!" Dashiki designs have gone beyond the continent of Africa – from east to west. What makes Dashiki prints so unique? 1. Apart from the fact that Dashiki has a rich history behind it. The patterns, decorations and embroidery are unmatchable. What more? They are made from durable and high quality materials. 2. Dashiki fabrics feature infinite array of patterns and designs – most importantly, many of such designs tend to reflect the beauty of nature; trees, fruits, birds, water, oceans etc that surmise the arts and cultures of the origin [ West Africa ]. 3. 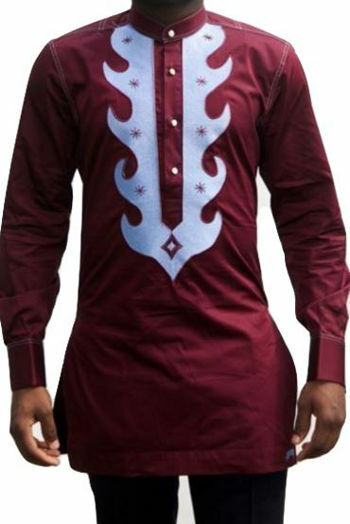 Seeing such designs on most Dashiki dresses triggers the sense of awe that comes with great artistic piece. And that is the secret of Dashiki print. 4. Dashiki costumes are worn by people of all ages – including for babies. 6. 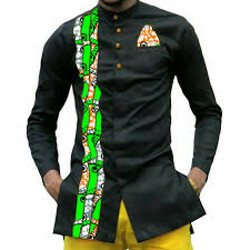 Finally, Dashiki designs are mostly unisex – which means that they can be worn elegantly by both women and men irrespective of size and shape – plus size or not and they can be tailored into varieties of designs and styles: jacket, shirts and even pants. Dashiki is a brightly colored and highly patterned garment that originated from Africa – West Africa to be precise. 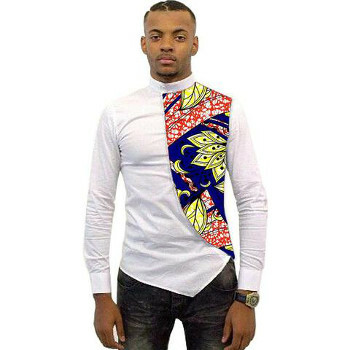 Nevertheless, in this post, we restrict our focust to the latest trend in Danshiki fashion, styles and and designs with lovely picture galleries. 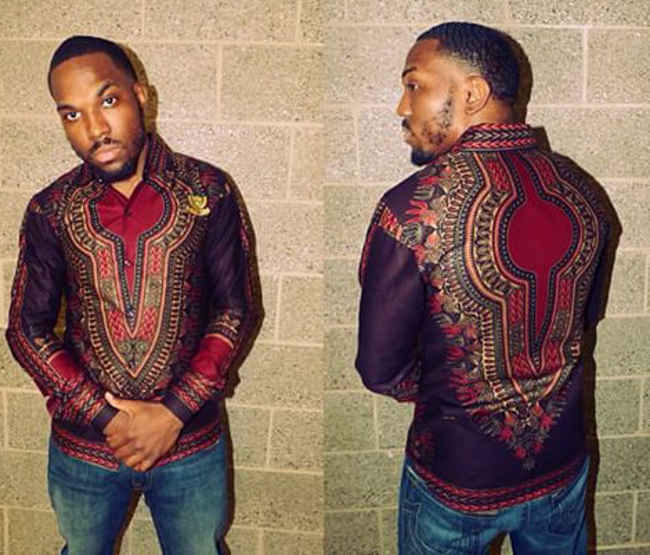 Many styles of Dashiki have patterns and embroidery designs on the chest and around the neck – a trend that has retained its appeal in the course of years. Below is a picture of one of such. This design has a lot going for it in terms of general appeal among guys due to its simplicity and classy feels – but selecting matching denims or jeans with other accessories to go with it can infinitely skyrocket the gorgeous looks. Another hot trend is what we'll like to refer to as color blending. The trick employs the simple technique of blending monochrome fabric with multi-cored, pattern or floral fabrics. The first practice employs the monochrome fabric as the main body for the top while the floral patterns are applied as sleeves. while the second trick employs the floral patterns as the body and the monochrome as sleeves. Colors in question – Each style has its unique color specs that accent its energy. Personal style – Which of the styles would you be comfortable with. For that, you can easily reach an agreement with a designer near you or – conveniently order for it via online stores. If the floral patterns seems a bit showy, it is best to tone it down with a darker monochrome – to avoid coming up with a something too colorful and weird. Related: Here are what you need to know about the latest ankara gown. Combined with any trimmed pant, you can conveniently rock this outfit with pride – most importantly denim jeans make a perfect match. What more? It can be worn to any formal or non formal events. 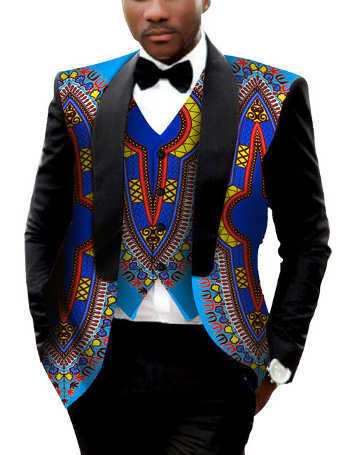 For a corporate, business or office look, Dashiki jacket with 2 or 3 piece suits come to mind. Dark blue or black dashiki for the monochrome look, complete with floral patterns matched with trimmed trouser will give you perfectly classy outfit. 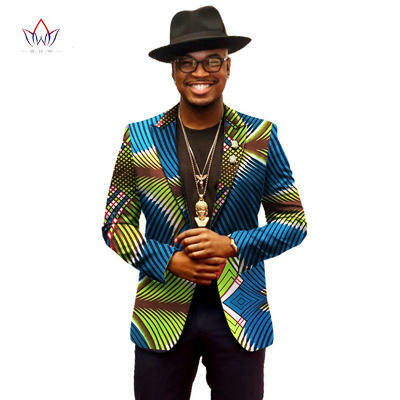 Related: See here the latest trends in ankara fashion. For owambe or other informal outings – naming, wedding ceremonies or even prom, there is hardly any limitation in rocking your Dashiki outfits. You want to be exceptionally showy? Go for a red, green or yellow Dashiki as your monochrome choice. 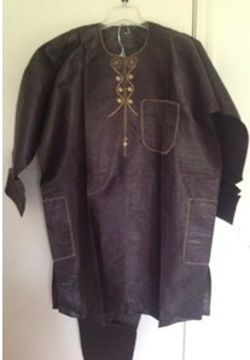 Dashiki agbada or buba and soro is a choice top choice that for that look. Having said that, with Agbada or buba the technique of coming up with your personal taste is not a rocket science. All you have to do is to select a top that employs color blended design – as discussed above and the apply the monochrome fabric for soro. Even though multi-colored dashiki styles are purely elegant. 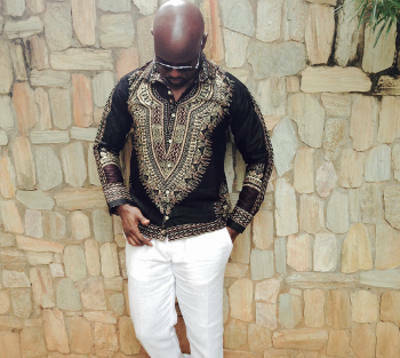 Nevertheless, sometimes you want to go low key with pure monochrome dashiki styles. 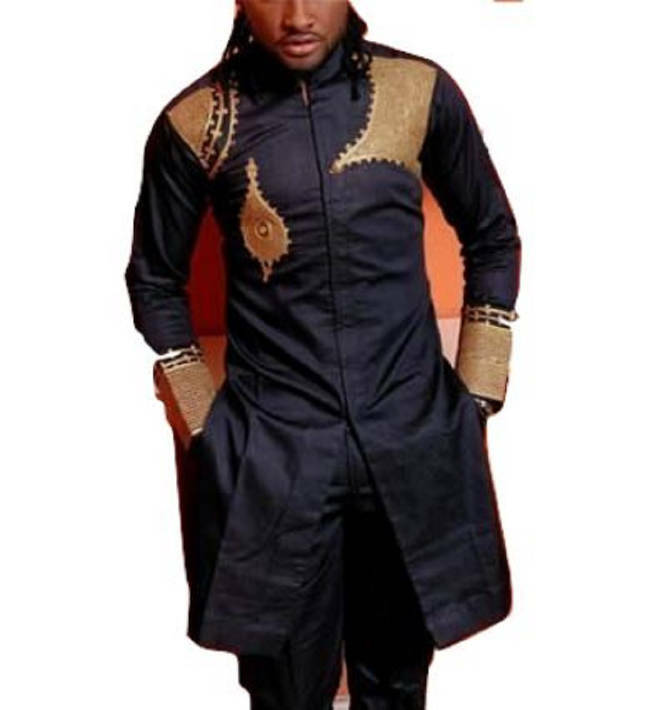 In the corporate world, as far as traditional clothings are concrened, one-color dashiki styles are the rage. 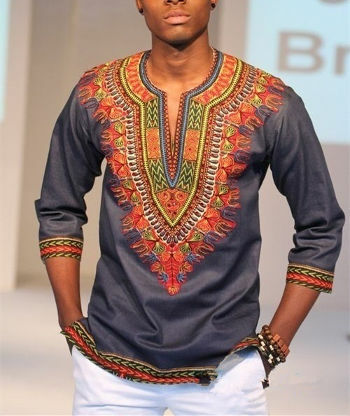 For this style, there are no fast rules when it comes to picking a dashiki top or dress. It only boils down to personal color preference and the choice of accessories to go with; shoes, wrist watches – and even glasses. 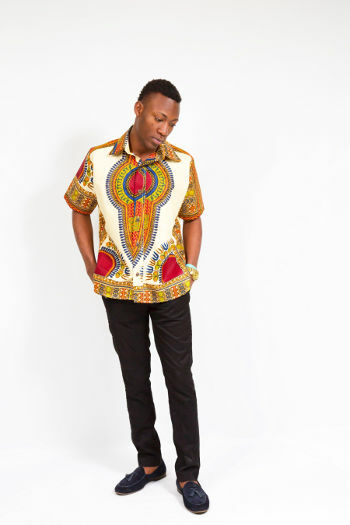 Whether you intend to light up the day with a bright white, yellow or red dashiki top or – even tone down a bit with a darker blue, you can easily wear a single color dashiki top with a pair of denim jeans or any trimmed trouser. Yes, its time to wear your dashiki with pride!